Celebrate your baby's birthday with music! We bring the live music & fun to you for a unique, interactive, high-energy musical celebration! *Perfect for 1-4 year olds with their grown-ups. *Live instruments played including guitar, ukulele & djembe! *Your location! Perfect for small groups up to 20 kids. The teacher came early, was pleasant, and did her best to wrangle 20 kids around music. She also played guitar while singing happy birthday, and even helped the 4 year old birthday girl blow out the candles. Would recommend for a party that was seeking engaging music for the kids. We had a 3 year old party and Ms. Jennifer did a 30 min interactive music singalong. Kids loved it. It was a great way for parents and kids to spend 30 min together and a great party activity. Ms. Jennifer was very engaging and made sure parents stayed involved so that the kids got the most out of it. Ms. Jennifer brought lots of laugh and fun to our celebration. She was able to entertain toddlers, preteens, and adults at the same time. It is a great treat to have her during a party! We are grateful! Ms. Jennifer did our daughter's first birthday. She was amazing and the children had a blast! Perfect for 3 year olds! Jennifer is very professional and is very good at leading a large group. My son and his friends had such a good time, thanks to Ms. Jennifer. Ms. Jennifer Rocks the House! Don't even bother looking anywhere else for your baby or toddler's birthday entertainment. Ms. Jennifer is a pro! 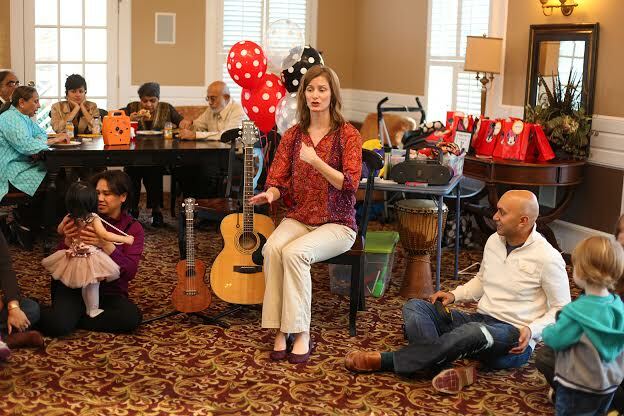 She comes in like a mouse, sets up her amazing collection of instruments and has the kids in awe for the entire session of sing-a-longs with familiar or easy-to-learn songs. I am not sure who enjoyed her more - the kids or the adults! Even the 'big kids' had a blast playing with the different hand held instruments that she brings with her. Leading us all in the birthday song as the grande finale was the perfect finish. Thank you, Ms. Jennifer, for making my sweet girl's first birthday an absolutely wonderful day. Ms. Jennifer was the (beloved) entertainment for our daughter's birthday party. She engaged all the children very easily and kept it moving quickly, so even the youngest children didn't crawl off. We all had a blast and my daughter is still talking about it 6 months later. I highly recommend Ms. Jennifer. Wow! Thanks so much, Sarah! I am thrilled that everyone had such a great time! THANK YOU so much for sharing! Made my day! We had such a great time with Ms. Jennifer at our children's birthday party. It was full of singing, dancing, playing instruments, and fun. It was well worth the money! Having Ms Jennifer come to my 3 years olds bday party was the best decision I have ever made. She was amazing. Everyone played along and the kids had a ball. All my guests were raving about it and their children said it was the most fun party ever! Awesome Music Filled Birthday Party! Miss Jennifer provided the musical entertainment for my son's first birthday party and everyone LOVED it! The music instruction was fun and easy to follow...everyone sang along, danced, marched, played with instruments and overall had an amazing time! My "mom" friends are still commenting on how much fun they had! Hoping to do it next year too. Get ready to move it! Move it! 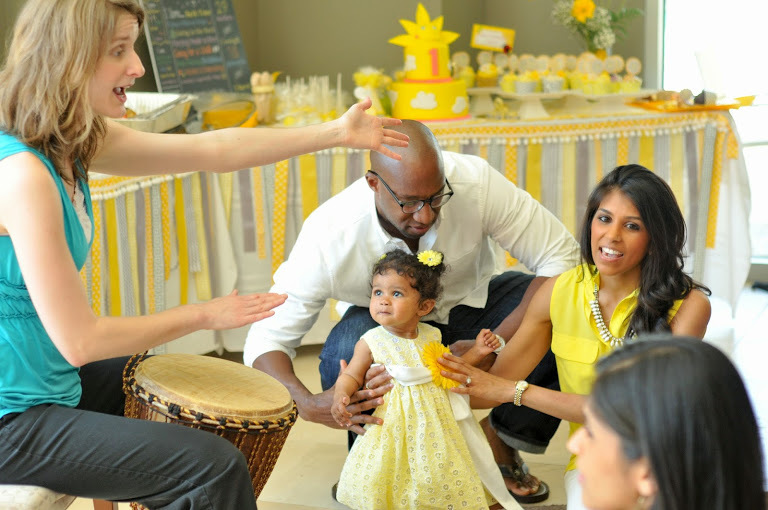 Our Music Music Birthday Parties are a unique way to celebrate a young child's birthday! It's fun & interactive for all of your guests! Each guest gets to "play along" with a percussion instrument. And we will have your guests up and dancing & moving & singing along! Gear provided: shakers, small percussion, small drums, guitar, ukulele, djembe (depending on package) and tons of music & rhythm for an unforgettable birthday party! Perfect for 1-4 year olds. Perfect for small parties your place. Ms. Jennifer is an Early Childhood Music Specialist and a Registered Music Together Teacher. She has successfully completed the Music Together Teaching Workshop developed by the Center for Music and Young Children, Princeton, New Jersey. With her passion for music and singing and her love for babies, Ms. Jennifer has been opening up the world of music for children and their parents for the past 16 years in the Atlanta area, now with the largest Music Together Center in the state of Georgia with locations in Smayrna / Vinings, Douglasville & Hiram. 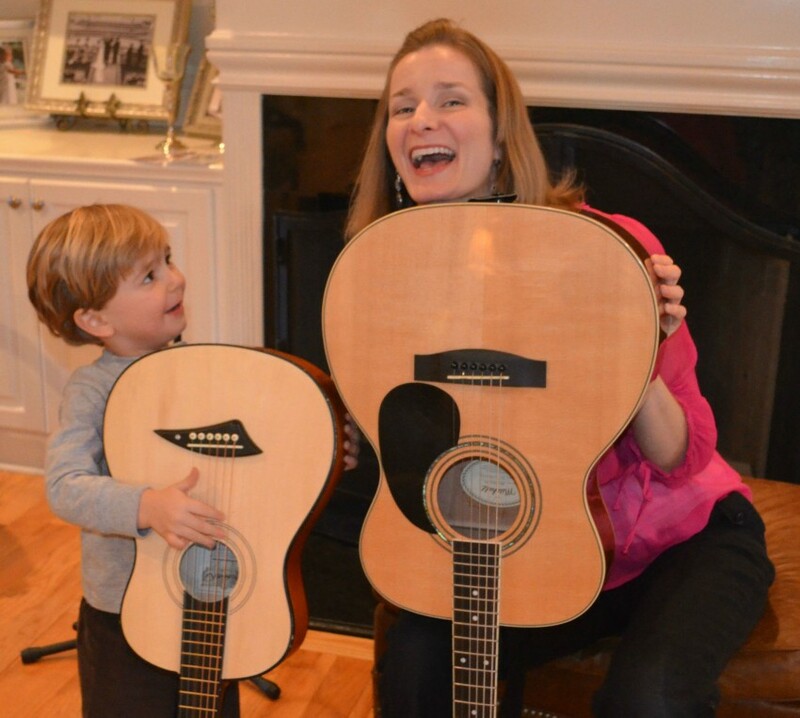 Occasionally, she can be found singing with her guitar for the children at 'Music with Ms. Jennifer' events at local libraries and also at the Barnes & Noble Bookstore in Buckhead. Ms. Jennifer is also a trained Postpartum Doula and a Certified Birth Doula & loves babies & mommies! YOUR PLACE: We will load up her Music Birthday Party gear & come to your location! Living room. Den. Neighborhood clubhouse. Enclosed patio. We can make just about any indoor space work. We needs a clear space, big enough for approx. 12-15 kids, each with a grown up to sit on the floor, either in a circle or in rows. Often, just moving your coffee table out of the middle of the floor & pushing the sofa back a bit creates the perfect amount of space for small parties. Will need 1 arm-less chair, a small table if applicable & access to an electrical outlet. Will arrive approx. 20 min. before scheduled start time in order to load in & set up. We love starting on time! Music completes any party! And when the music is live, all the better! smiles & people ready to sing along!